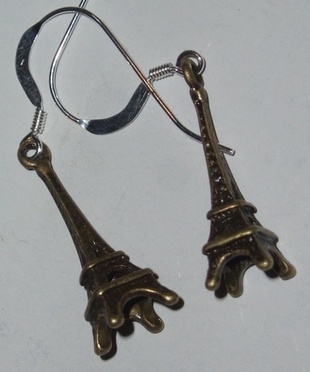 Eiffel Tower earrings. Oh La La, Stylish Brass. Fashioned into funky dangle earrings with Sterling Silver earwires. So Romantic !! Do you Love Paris ? ?